Dylan's life was in balance again after his motorcycle accident. Being a relaxed family man (at least for some time) resulted in this "comeback" release. The album reached Gold status and #7 in the US charts, and became Dylan's 6th UK #1 album. 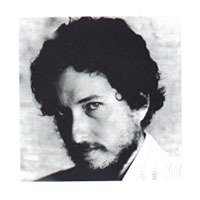 An earlier version of "If Not for You" with George Harrison on guitar was released in 1991 on "The Bootleg Series Vols. 1-3".